1Department of Radiology, Sultan Qaboos Hospital, Salalah, Sultanate of Oman. 2Deprament of Surgery, Sultan Qaboos Hospital, Salalah, Sultanate of Oman. Address correspondence and reprints request to: Manjula Dhinakar, Department of Radiology, Sultan Qaboos Hospital, Salalah, Sultanate of Oman. Manjula D, Al Mashini S, Golash V. Rupture of Splenic Artery Aneurysm during Pregnancy: A Report of two Cases. Oman Med J 2011 Sept; 26(5). Splenic artery aneurysm (SAA) is a rare clinical entity that carries the risk of rupture and fatal hemorrhage. Ruptured SAA, especially during pregnancy has fateful consequences for the mother, foetus or both. The role of the Radiologist is very important in preventing mortality. A diagnosis of ruptured SAA should be considered in any pregnant patient who complains of sudden epigastric or upper abdominal pain, with or without shock. This is a report of two cases where the mothers were saved but the foetuses were lost. Keywords: USG-abdomen doppler-study; Splenic artery aneurysm; MDCT interventional studies; Laparatomy. Splenic artery aneurysm (SAA) is a rare clinical entity that carries the risk of rupture and fatal hemorrhage. Ruptured SAA during pregnancy can be disastrous for both the mother and the fetus. Patients with SAA are usually asymptomatic until the aneurysm ruptures. Sudden severe epigastric or left upper quadrant pain heralds the onset of rupture of the aneurysm with immediate or delayed onset of hypovolemic shock. 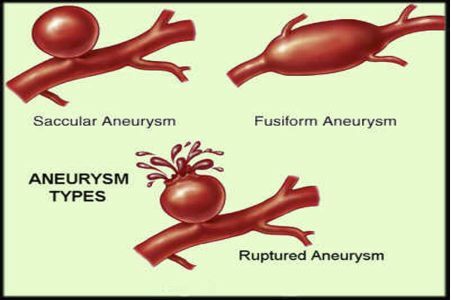 The size of the aneurysm is also an important factor in predicting rupture. An aneurysm of two centimeters in diameter is highly prone for rupture. A 29-years-old female, in her 34th week of pregnancy, presented to the Accident & Emergency department with pain in the epigastrium and left hypochondrium. There was no other symptom or past history of similar complaints. On examination; the patient was pale with a rapid thready pulse (160 pulses per minute), systolic blood pressure was 60 mmHg, and diastolic blood pressure was 30 mmHg, the patient also reported cold and clammy extremities. 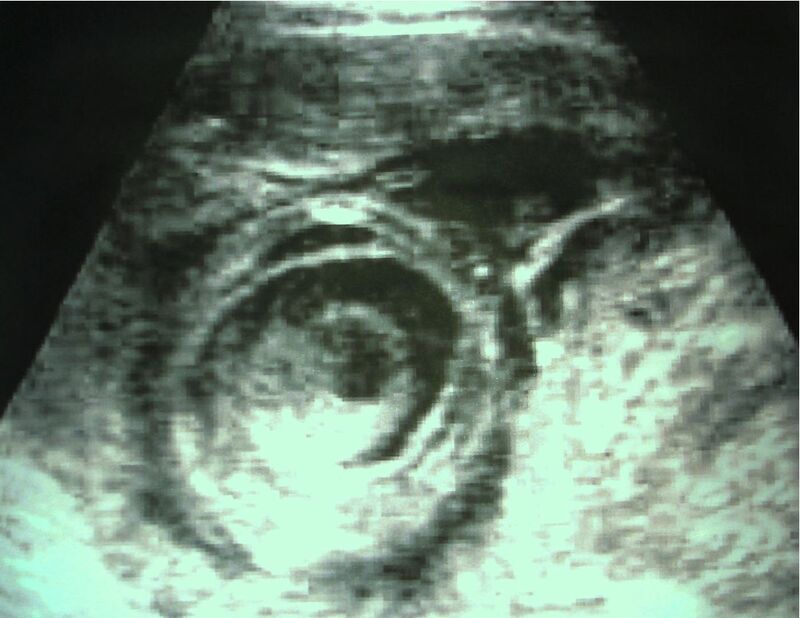 Diagnostic Ultrasound (US) of the abdomen revealed hemoperitoneum. Exploratory laparotomy was carried out after hemodynamically establishing the patient with blood transfusion. There was approximately one and a half liters of blood in the free peritoneal cavity and the lesser sac was full of blood. On opening the lesser sac and evacuating the hematoma, the source of bleeding was identified to be the proximal end of a ruptured splenic artery aneurysm involving the distal third of the splenic artery. Proximal ligation with aneurysmectomy and splenectomy was carried out. Unfortunately, the fetus did not survive. The postoperative course was uneventful and the patient was discharged on the 9th postoperative day. She continues to do well. A 37-years-old female, in the 36th week of pregnancy, presented with pain in the epigastrium and left hypochondrium. There was no other symptom or past-history of pain. On examination; the patient was very pale with a rapid thread pulse (168 pulses per minute), systolic blood pressure was 60 mmHg, diastolic blood pressure was 40 mmHg, with cold and clammy extremities. US Abdomen revealed hemoperitoneum. Doppler study revealed no flow in the splenic hilum and a big clot was observed in the region of the splenic artery. Exploratory laparotomy was carried out after hemodynamically stabilizing the patient. There was around 2 liters of blood in the free peritoneal cavity and the lesser sac was full of blood. On opening the lesser sac and evacuating the hematoma, the source of bleeding was identified as the proximal end of a ruptured splenic artery aneurysm. Proximal ligation with aneurysmectomy and splenectomy was carried out. Cesarean Section was done to remove the dead fetus. The postoperative course was uneventful and the patient was discharged on the 9th postoperative day. The patient is doing well. 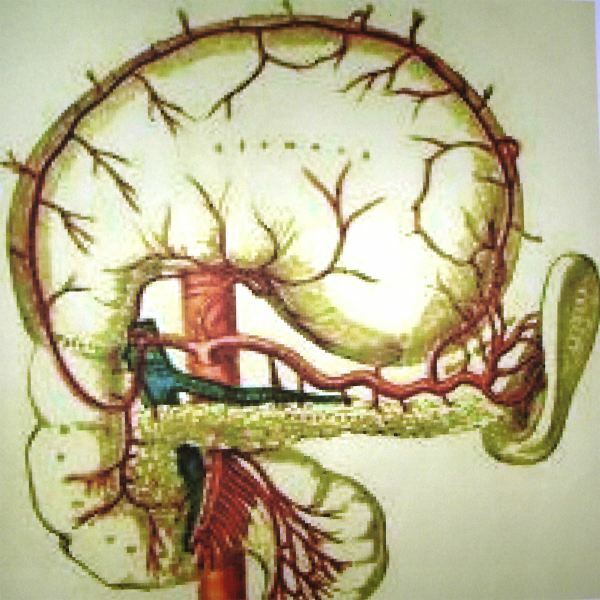 Figure 1: Anatomical relations of splenic artery. In the high-risk patients, arterial embolization using coils can be an effective early treatment,1,5,8 but arterial embolization in SAA secondary to pancreatitis was shown only to be palliative and needed surgical intervention as a definitive procedure. Splenic artery aneurysm in a pregnant woman is an uncommon disease.9 Early consideration of ruptured SAA diagnosis significantly increases the chances of survival for both the mother and the fetus. Routine screening of the splenic artery by Ultrasound and Doppler should be considered in selective pregnant patients with predisposing factors like hypertension, multiparity, liver and pancreatic diseases. In both the cases presented; the mothers survived but the fetuses were lost. We would like to thank Dr. Logesan Dhinakar, Urologist, Sultan Qaboos Hospital, Salalah and the Hospital Team of Sultan Qaboos Hospital, Salalah. No funding was received for this work. 1. Mattar SG, Lumsden AB. The management of splenic artery aneurysms: experience with 23 cases. Am J Surg 1995 Jun;169(6):580-584. 2. Holdsworth RJ, Gunn A. Ruptured splenic artery aneurysm in pregnancy. A review. Br J Obstet Gynaecol 1992 Jul;99(7):595-597. 3. de Vries JE, Schattenkerk ME, Malt RA. Complications of splenic artery aneurysm other than intraperitoneal rupture. Surgery 1982 Feb;91(2):200-204. 4. O’Grady JP, Day EJ, Toole AL, Paust JC. Splenic artery aneurysm rupture in pregnancy. A review and case report. Obstet Gynecol 1977 Nov;50(5):627-630. 5. Macfarlane JR, Thorbjarnarson B. Rupture of splenic artery aneurysm during pregnancy. m. J Obstet Gynaecol 1966 Aug;95(7):1025-1037. 6. Westcott JL, Ziter FM Jr. Aneurysms of the splenic artery. Surg Gynecol Obstet 1973 Apr;136(4):541-546. 7. Herbeck M, Horbach T, Putzenlechner C, Klein P, Lang W. Ruptured splenic artery aneurysm during pregnancy: a rare case with both maternal and fetal survival. Am J Obstet Gynecol 1999 Sep;181(3):763-764. 8. Barrett JM, Van Hooydonk JE, Boehm FH. Pregnancy-related rupture of arterial aneurysms. Obstet Gynecol Surv 1982 Sep;37(9):557-566.